The fan meet is Park Bo Gum’s way of expressing his gratitude to the fans who have supported and adored him in his blossoming career, and TNT is here to give you the exclusive Hi-Touch experience with one of K-drama’s biggest stars. 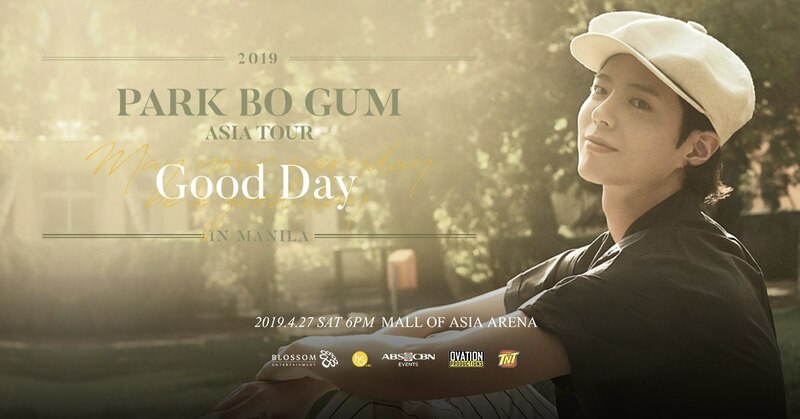 At the actual fan meet event, all fans will get Hi-Touch royalty experience from Park Bo Gum and Good Day Manila official posters. Park Bo Gum has had a steady rise in Korean pop culture since his debut in 2011, eventually breaking through in the 2016 K-drama series Love in the Moonlight, which earned him a number of awards including Outstanding Korean Actor at the Seoul International Awards, Most Popular Actor for Television at the Baeksang Arts Awards, and No. 1 on the Forbes Korea Power Celebrity list, just to name a few. Park is the youngest artist to be awarded the Actor of the Year by Gallup Korea, and also served as the country’s torchbearer in the 2018 Winter Olympics. Subscribe to SurfSaya 99 to stay updated with the latest news and promos about Park Bo Gum fan meet, dahil sa TNT SurfSaya, “Mas Masaya ‘Pag Naka-Data.” To register to SurfSaya, dial *121# now. For more updates and details, visit https://tntph.com/.